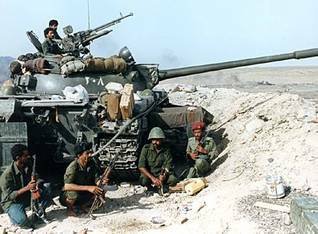 The People’s Republic of Yemen (PDRY) and the Yemen Arab Republic (YAR) fought two small-scale wars, or border skirmishes, in the 1980s. Both conflicts ended in unification agreements. Before unification the YAR and PDRY merged their oil ministries, accelerated by the discovery of oilfields near their undefined border. 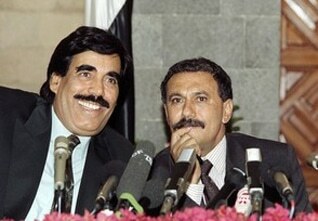 Finally, in May 1990, the two Yemens were unified. Sanaa became the political capital, Aden the economic capital. Although the former rulers shared power in a new government, mutual distrust between the northern ‘fundamentalists’ and southern ‘socialists’ clouded relations. No real unification ever took place. Each government relocated some of its institutions and army units to the territory of the other. This crippled the economy, which had already been hit severely by the return of up to a million Yemeni expatriates, sent back from Saudi Arabia as a punishment for Yemen’s stand in the Gulf War of 1990-1991 (Iraq’s short-lived occupation of Kuwait and the American-led campaign to drive Iraqi forces out). Income dwindled, resources ran out, and crisis loomed. Fighting finally broke out in January 1994, when the former leader of the PDRY, Ali Salim al-Beidh, announced the secession of the south from the new union. The war that followed did not last long: southern army units were isolated from their power base or succumbed to northern rule without a fight. 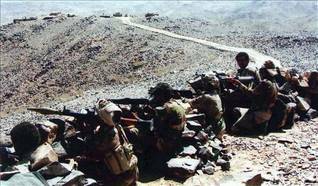 After seventy days of fighting Yemen was united again, only this time under an increasingly dominant northern hegemony.